All the roads lead to Verona these days, traditionally, now for the 51st time in the beginning of February. 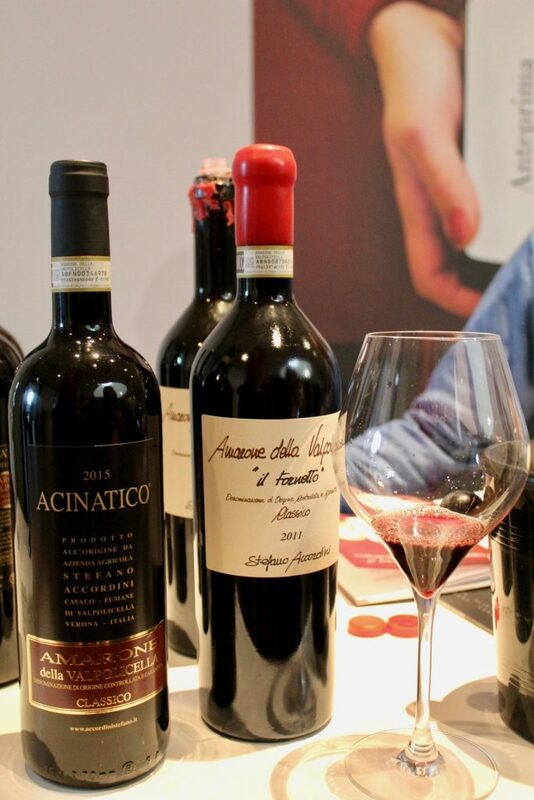 It’s time for the event that focuses around the Amarone, Valpolicella’s most known produce – “Anteprima Amarone“. 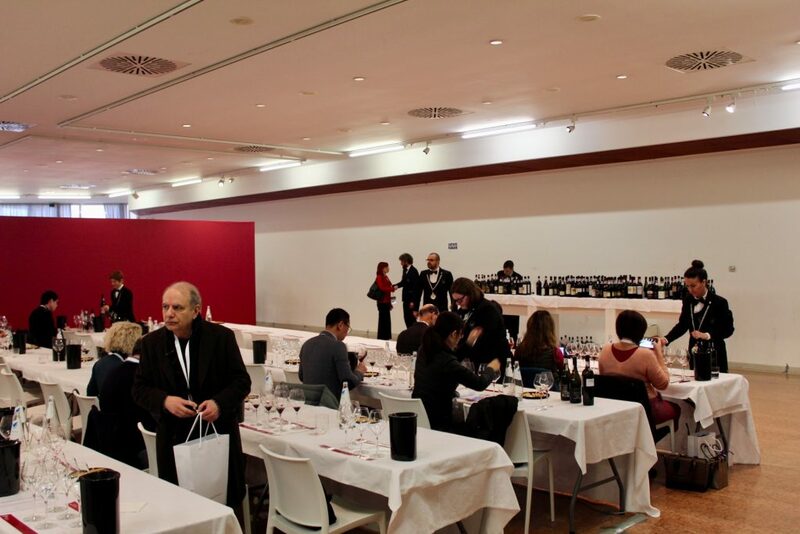 Stage lights were all pointing at the vintage 2015, which we hear might be among those that are promising to become iconic ones. 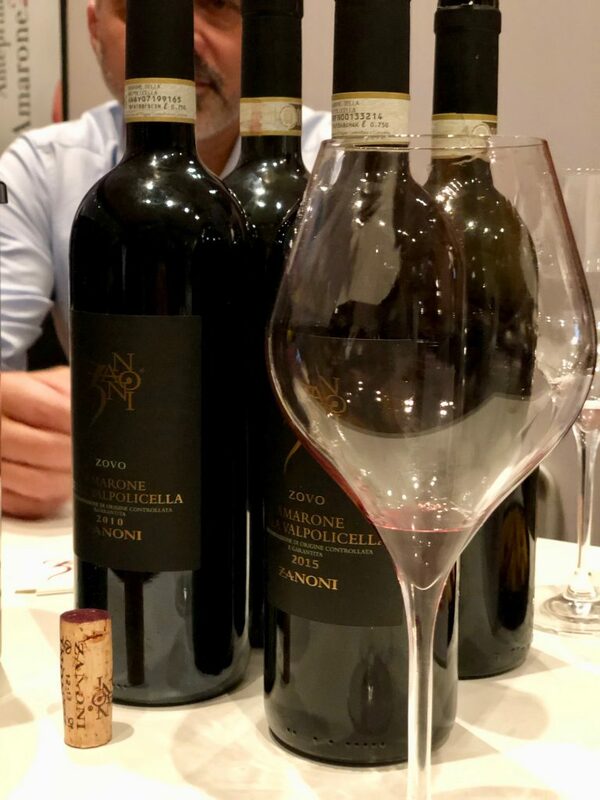 Now, before digging into the vintage one must take time to understand what Amarone is all about. 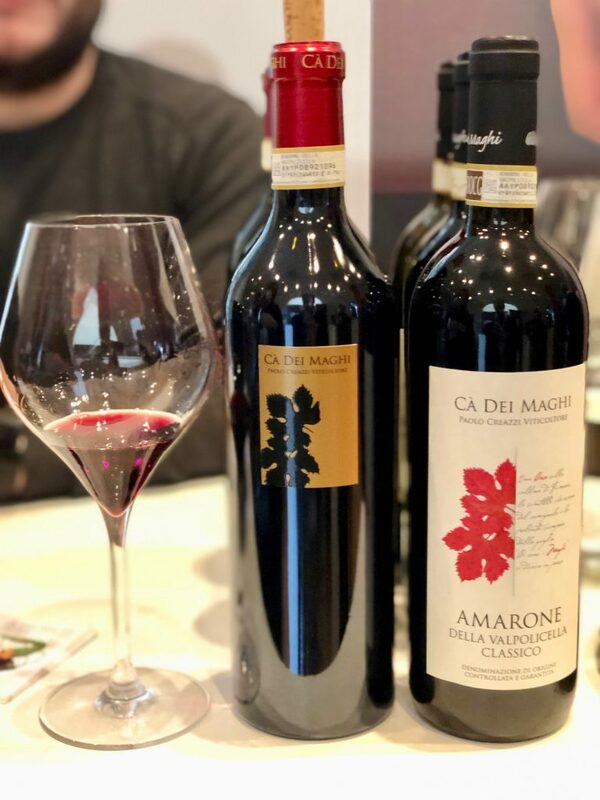 The name Amarone derives from the terminus “amaro” (tr. 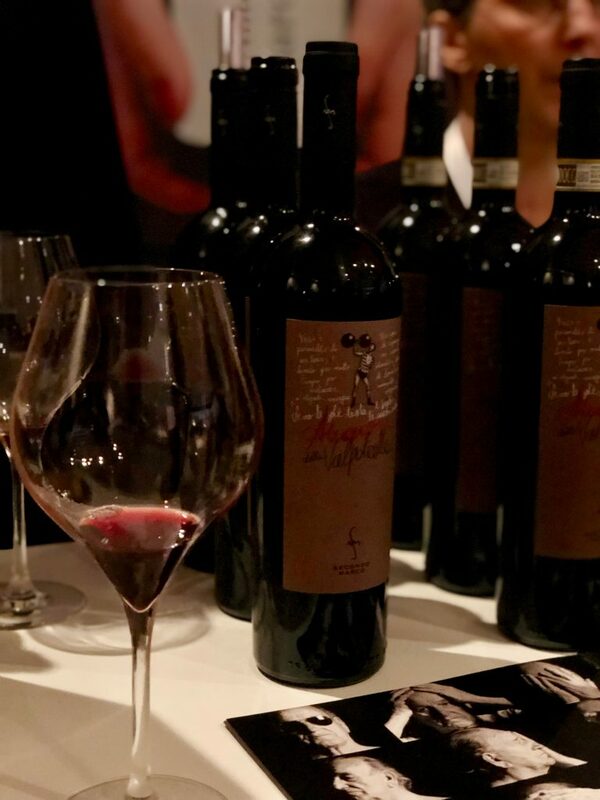 bitter) to further contrast the Reciotto della Valpolicella which is produced in the same area, from same varieties, with the drying of grapes but is exclusively vinified as a sweet wine. 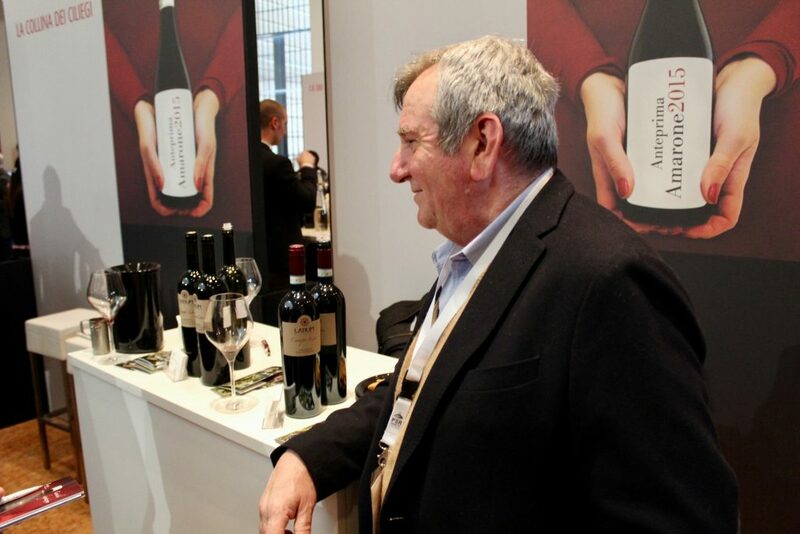 It is said that Adelino Lucchese is the one who coined the word. While working at the cooperative cellar of Negrar he forgot a barrel of Reciotto, which fully ferment into a dry wine. 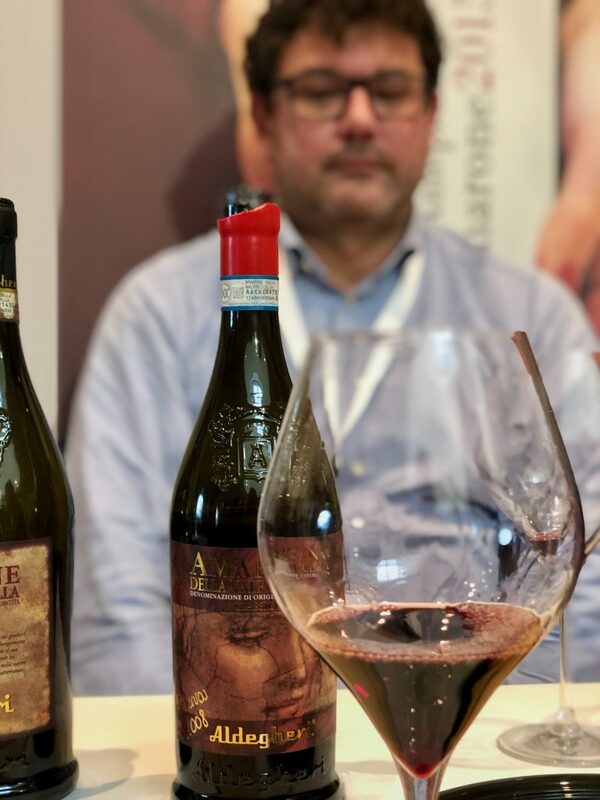 He was so amused when tasting it, he exclaimed: “This is not an Amaro, this is an Amarone!” – as a reflection of its full body, roundness and character. 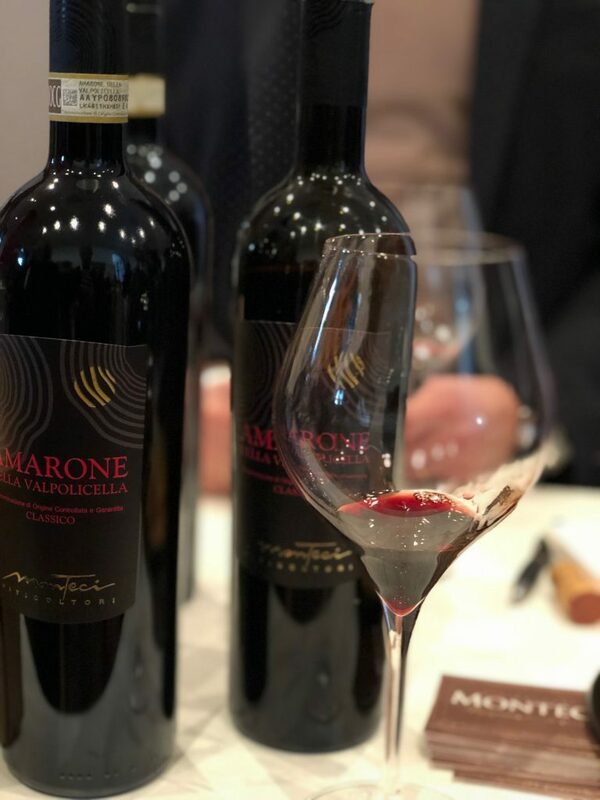 Together with Gaetano Dall’Ora, at that time director of the cellar, they put on the market the first bottle of Amarone in 1939 (vintage 1936) and so the story of one of the most iconic wines of Italy was born. 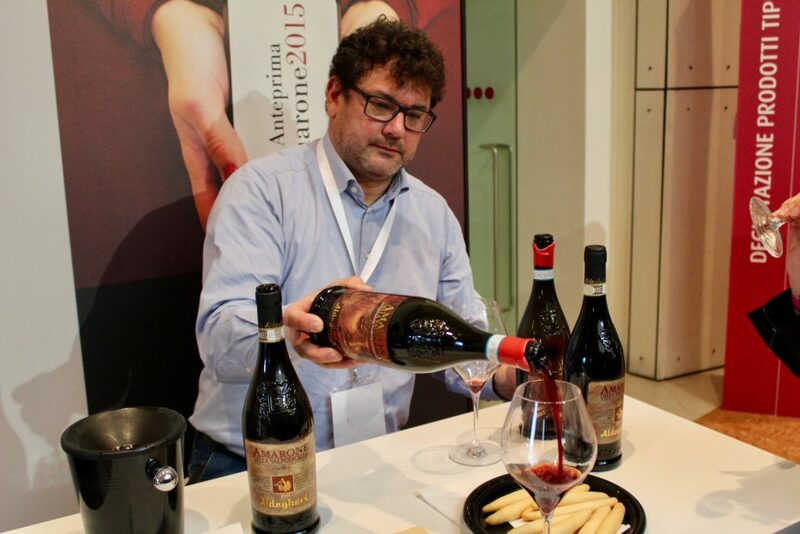 It got its disciplinary in 1990 and is classified as DOCG since 2010. 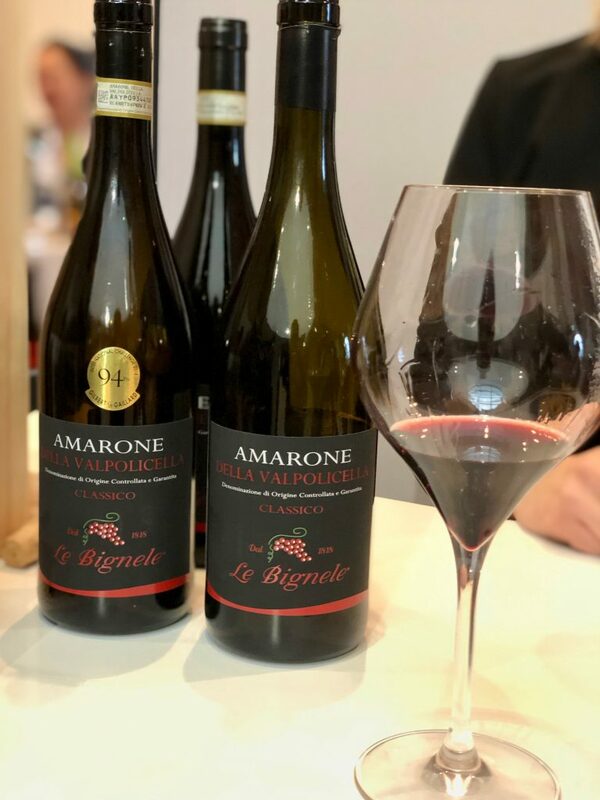 Amarone wine is made out of autochthonous varieties that are grown in the province of Verona – Corvina which gives body, structure, colour and longevity, Corvinone giving body and scent of spices and Rondinella mostly for colouring. Molinara, Dindarella and Oseleta are also found, but in minor part. 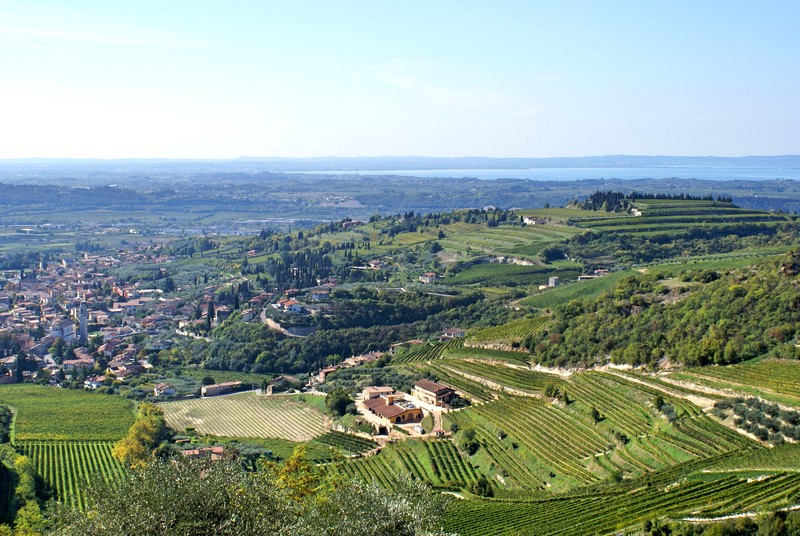 The vines must be grown solely with Pergola Veronese (represents 75 %) or Guyot (represents 25 %) training systems. 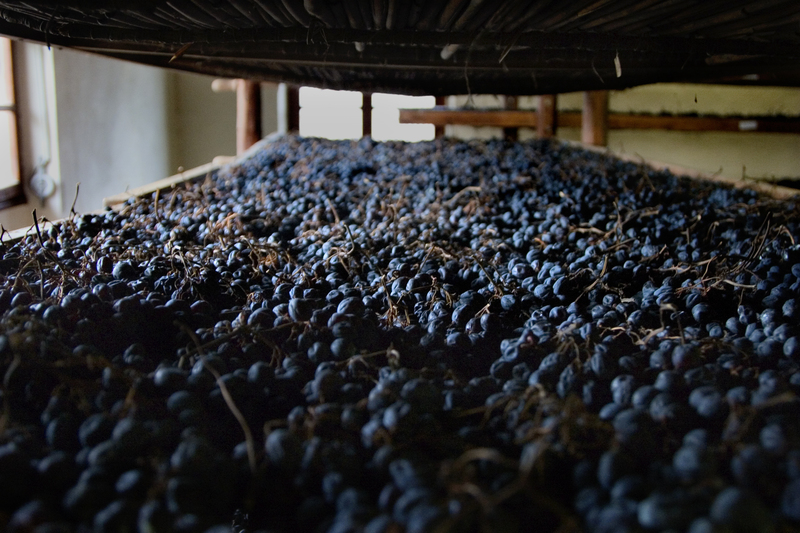 Grapes undergo a drying process resulting in a maximum of 40 % yield and must ensure a minimum of 14 % vol. of alcohol in the finished wine. 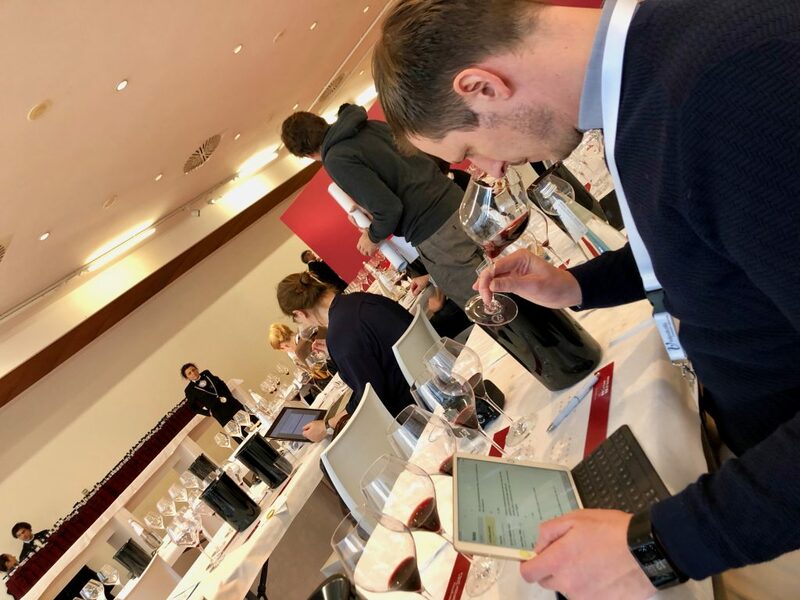 They must not be vinified before 1st of December and must undergo at least 2 years of barrel ageing – starting from 1st of January after the year of picking, or 4 years for the riserva counting from 1st of November of the year of picking. 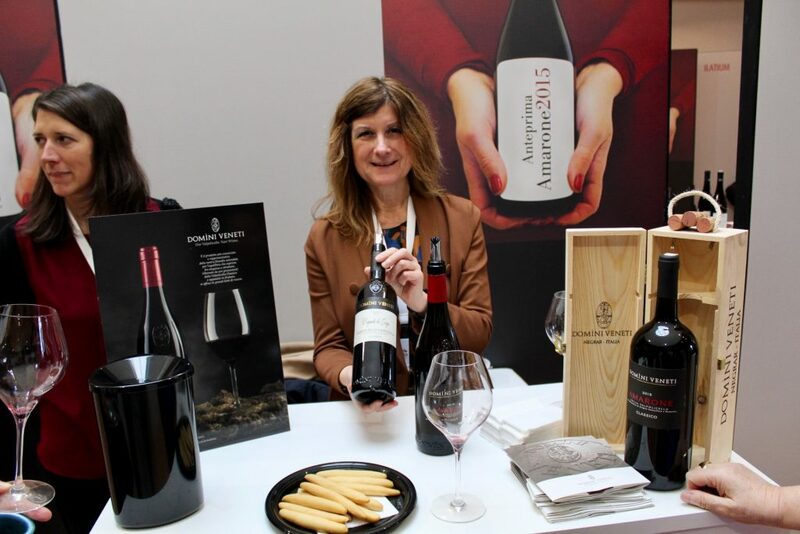 Logically, because all of these factors this year was about the vintage 2015. 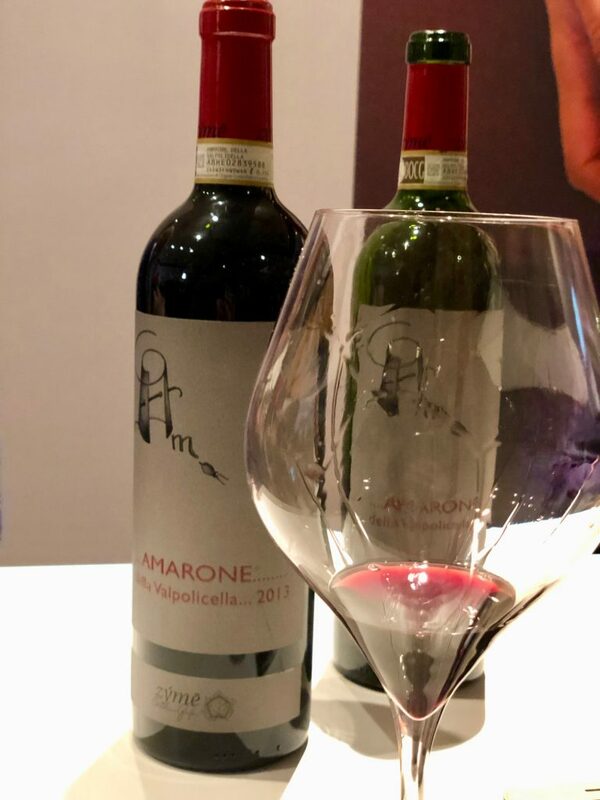 This was my first time at Anteprima Amarone, so I had no idea what to expect. 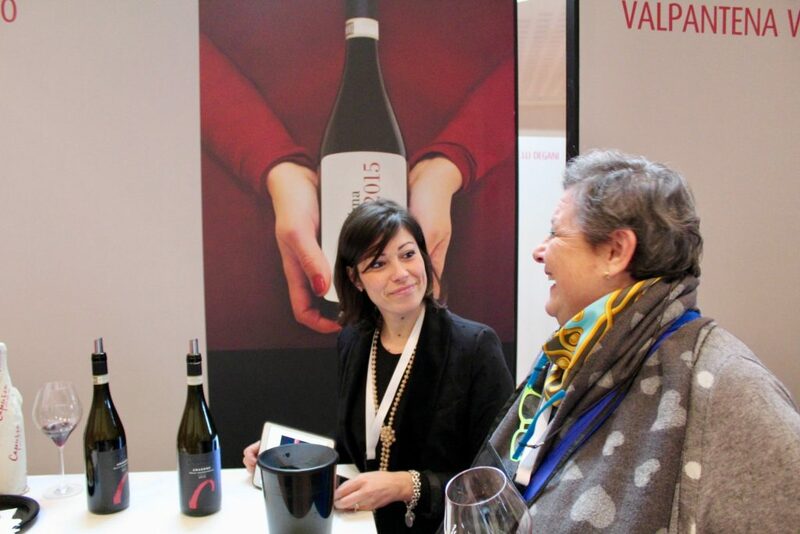 I was lucky to be in the excellent company of Liliana Savioli (thank you for arranging this opportunity) and Ada Regina Freire, 2 ladies I respect deeply and always enjoy their company, so I had a hunch on what to expect. 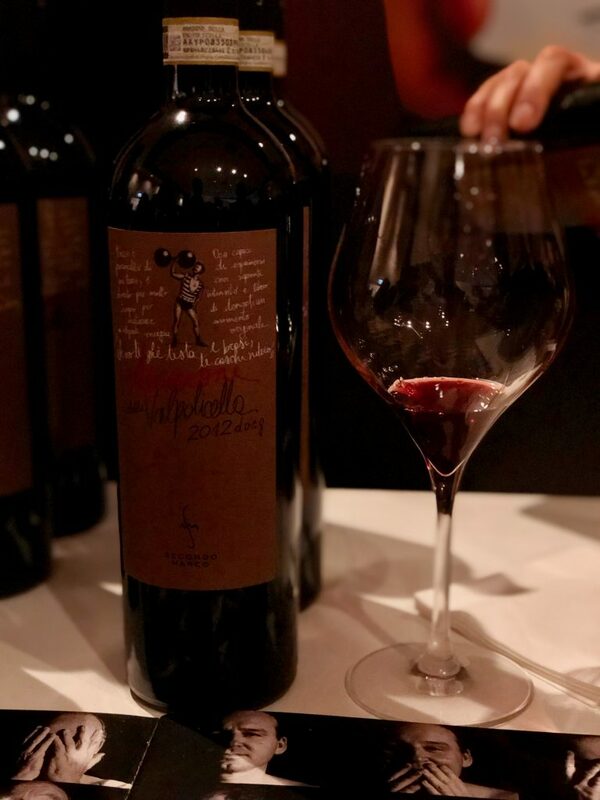 I’ve heard a lot about the vintage 2014, as you know it was pretty tough, but as opposed the 2015 proved to be a great one. 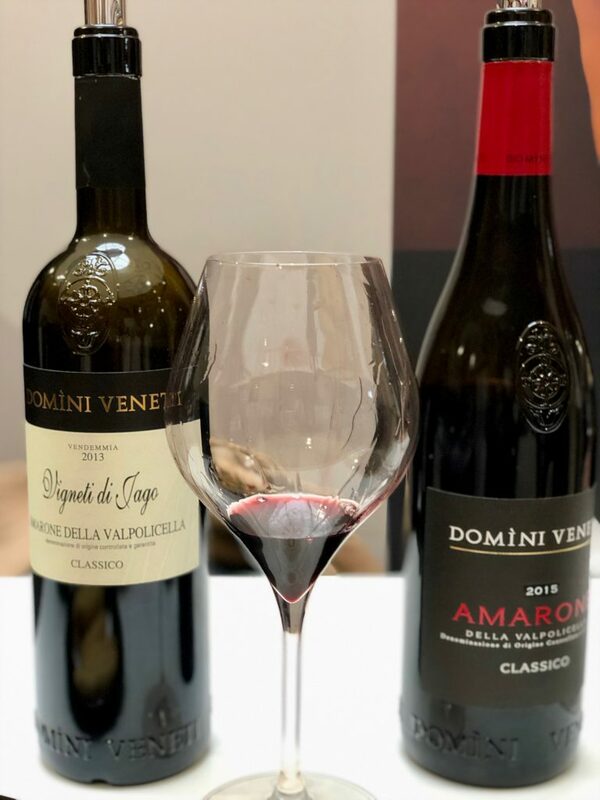 In fact, this year produced most grapes for Amarone and Recioto since 2006 while keeping the total grape production at the level of the previous 2 years! This only shows how conditions were beneficial for a qualitative vintage. 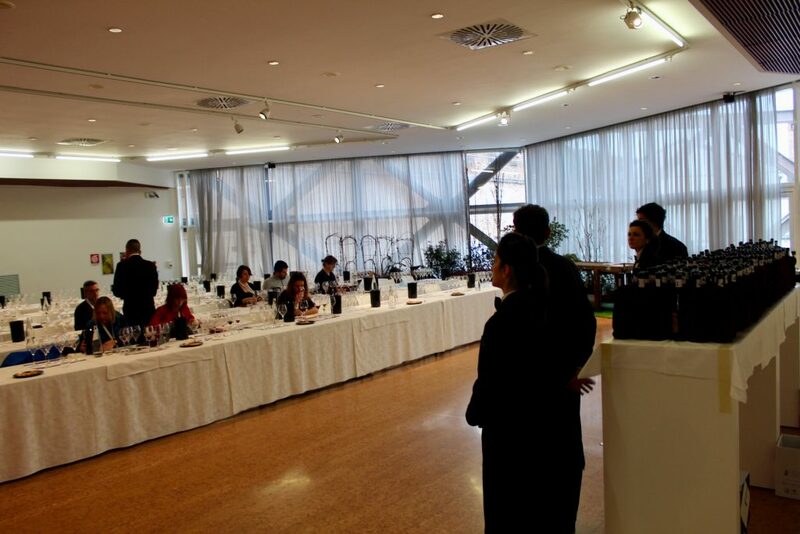 We got the proof while tasting all 68 samples that were put on display. I really loved how the tasting was arranged. 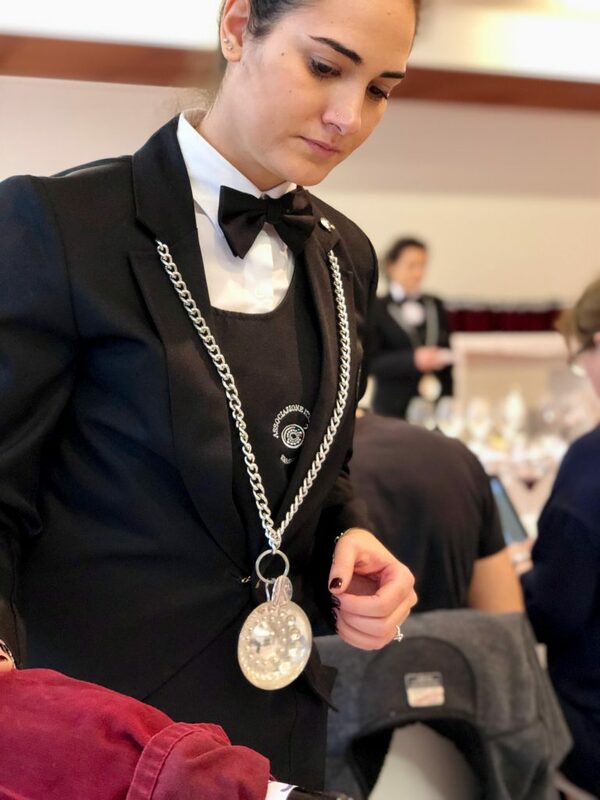 Visitors could sample each wine calmly at a specially prepared room, seated and poured by a professional group of sommeliers. 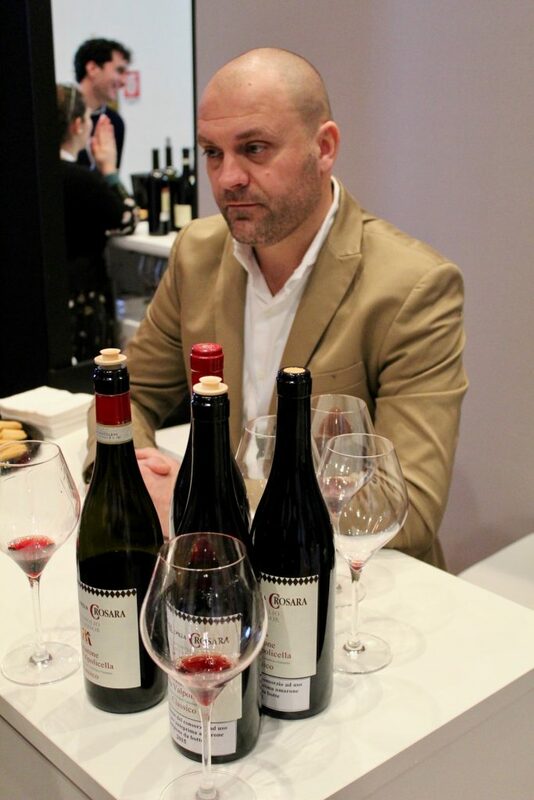 You can choose either to taste open face bottles, or undergo a full blind tasting, which is what we did. 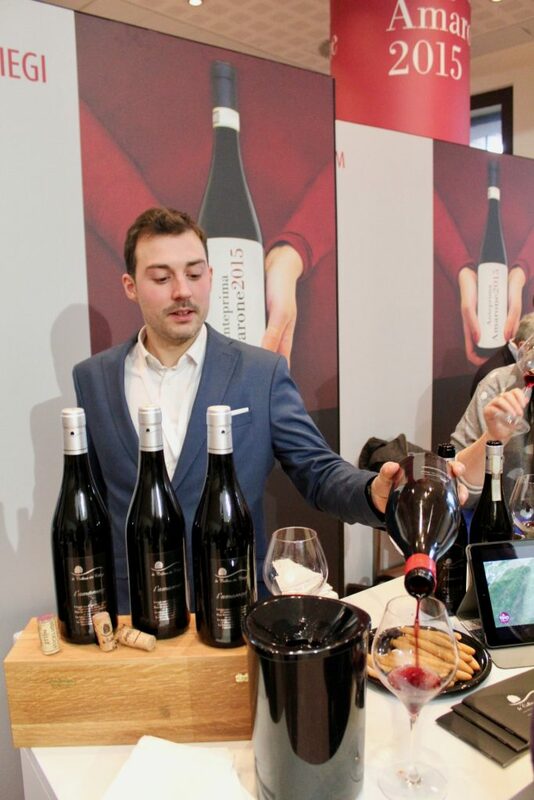 See tasting a wine that is poured out of a covered bottle gives you a totally new dimension. You didn’t have the privilege of seeing or reading the label, therefore you’re left alone to concetrate and let your senses speak it’s like listening without prejudice. 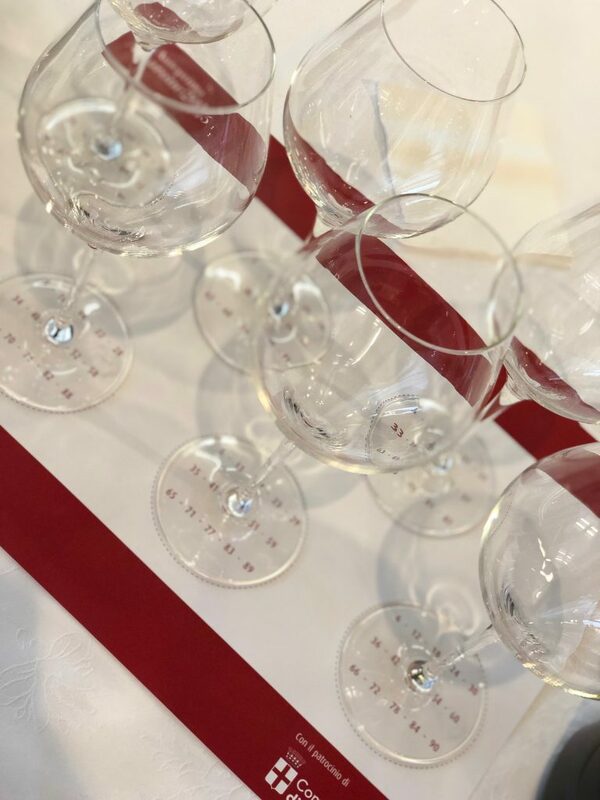 Your mind is open to sounds, visuals, tactile sensations and all the magnificent fragrancies of the wine, like an orchestra of perceptions flowing through your body. To top it off, 39 samples of 68 were from the barrel. The kid in me was so happy! 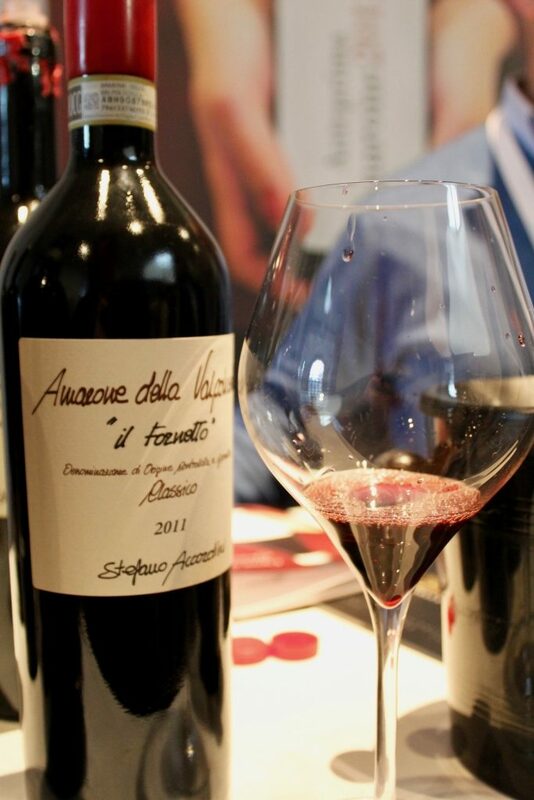 A dense, deep, ruby red colour sometimes with garnet nuances was poured in glasses in front of me. 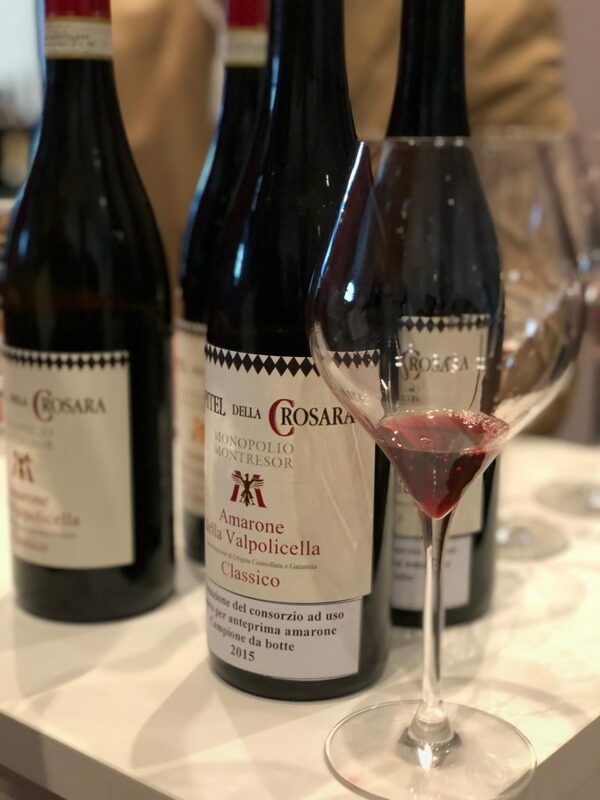 Fragrancies of dried red and black fruits, jams, forest undergrowth, coffee, cacao, chocolate, sweet spices, leather, flint and other minerals started unravelling out of the glass … Ah then the taste, sometimes in balance, sometimes fresh and vibrant, sometimes with strong and pungent tannins or pronounced softness, warmness … All well incorporated in a majestic body. 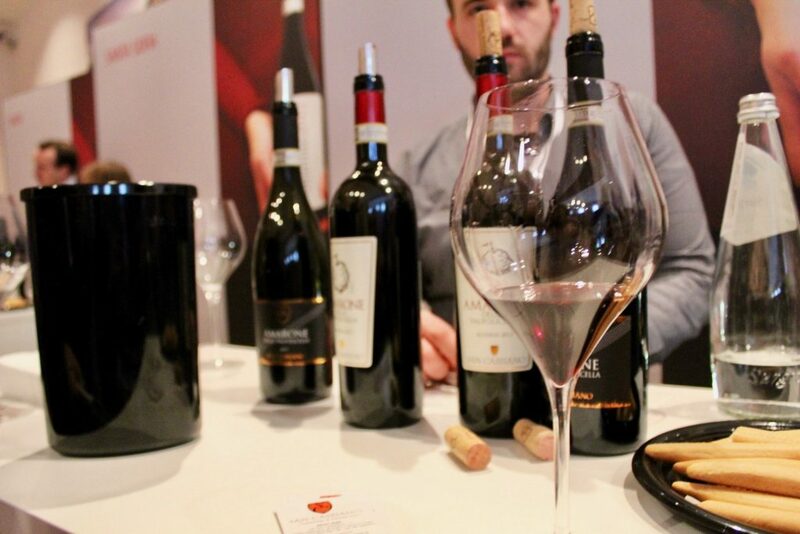 An amazing display of terroirs which also showed a difference in styles of Amarone. 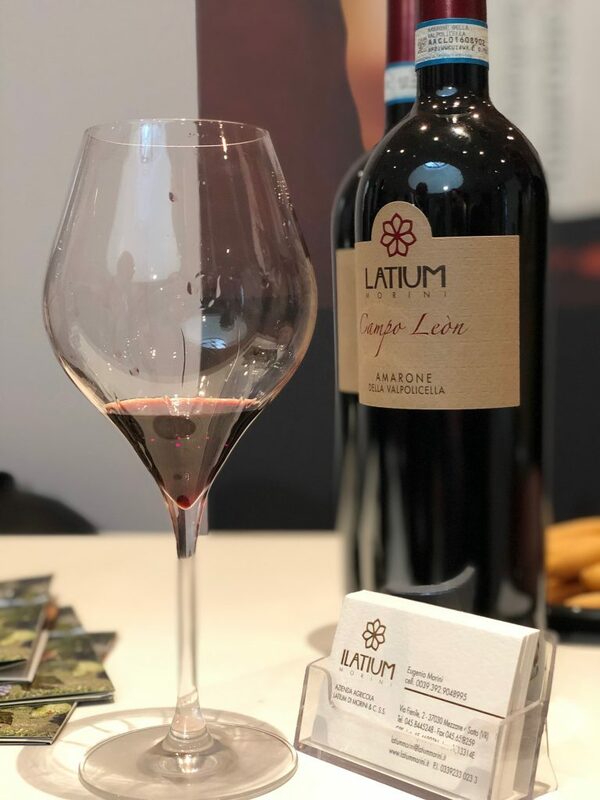 A more classical one, marked by a stronger oaky signature with big and bold flavours and a more refined, modern style where the barrel acted as a vessel to elevate the wine. 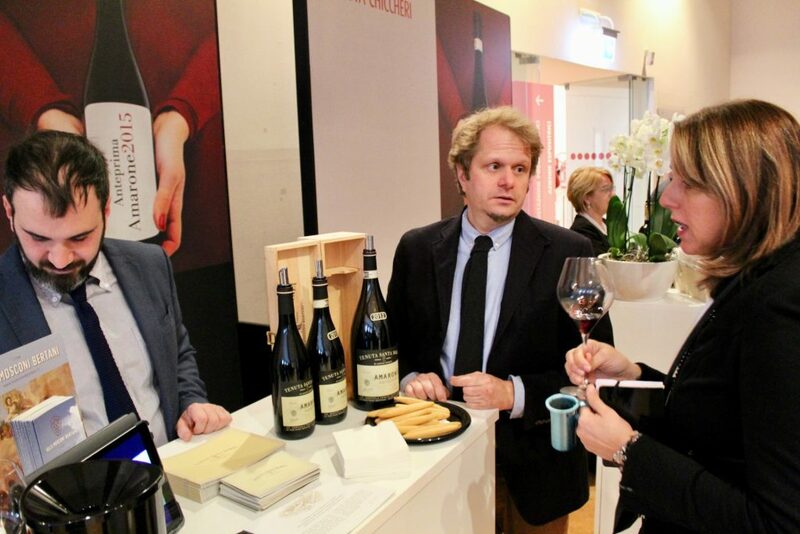 Naturally, wines are still developing and aging and most of them are meant to lay and further evolve. 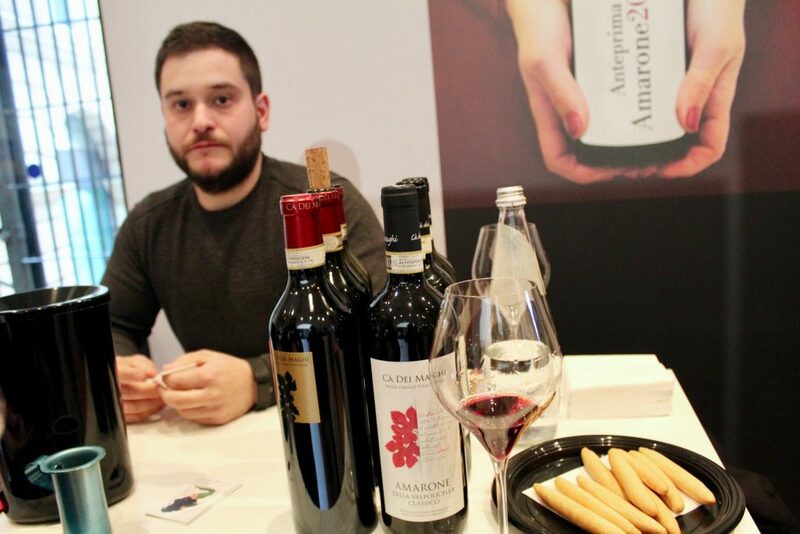 Logically, Antemprima Amarone is not just about wine tasting, it gives you also the opportunity to meet with producers. 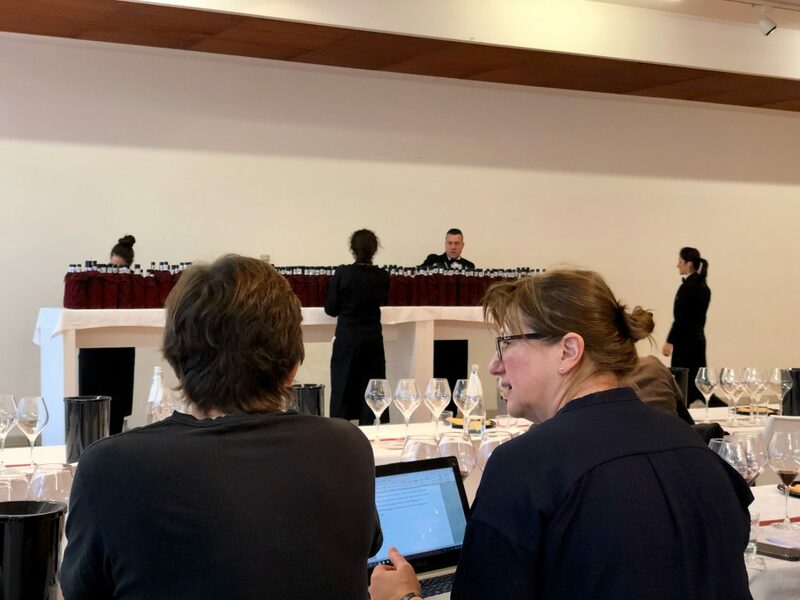 The blind tasting served us as a direction for knowing who was behind the wine and what is the philosophy they pursue with winemaking. 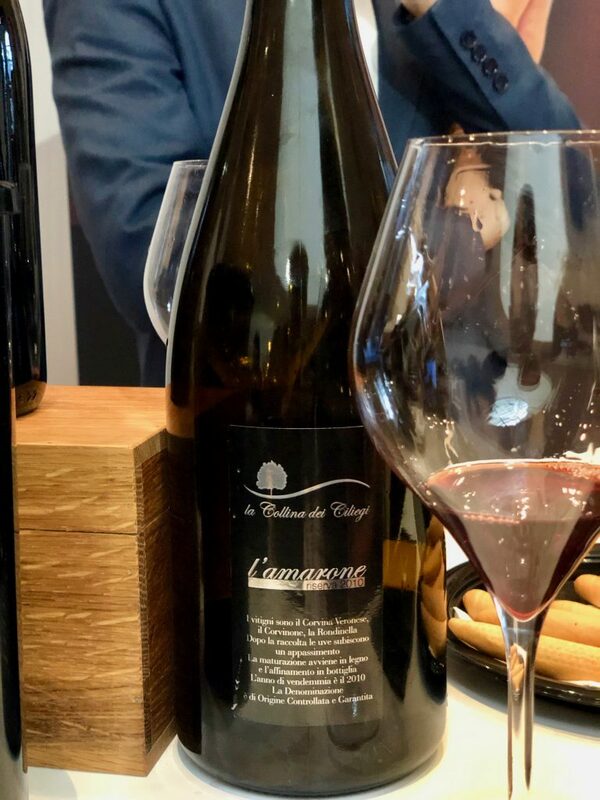 It helped me to further understand different styles, the impact of climate, soil and how winemaking in Valpolicella is responding to the climate changes we are facing. The harvesting of grapes has moved from 2nd half of October to the beginning of September in the last 20 – 30 years. This means that grapes are harvested and laid to dry in warmer conditions, this impacts the development of flavours and other elements in the grape which ultimately reflects in the wine, I heard from many that they are moving their vineyards to higher altitudes in order to keep freshens, aromatic profiles and other elements in the grape intact and pronounced. 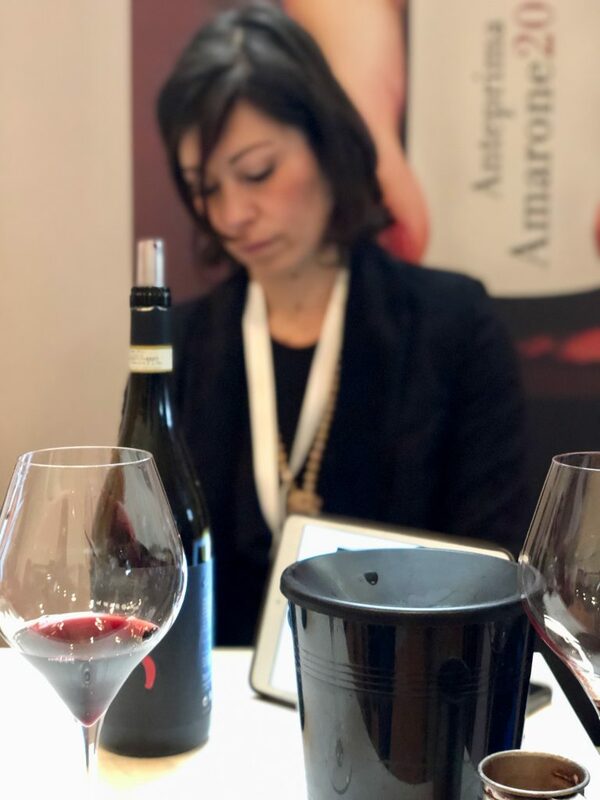 And what is best, you can learn abotut this while tasting other samples of Amarone they brought at the event and further understand the development of frangrances, the typologies, even learn what varieties and in which percentage they were used to prepare the wine. 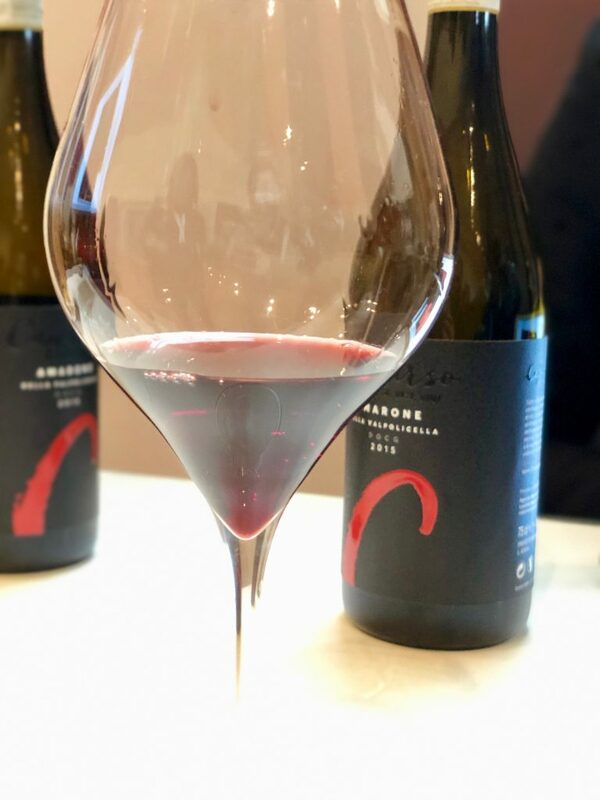 Overall Anteprima Amarone is a great opportunity to dig deep into the Amarone, one of Italy’s most demanded wines. 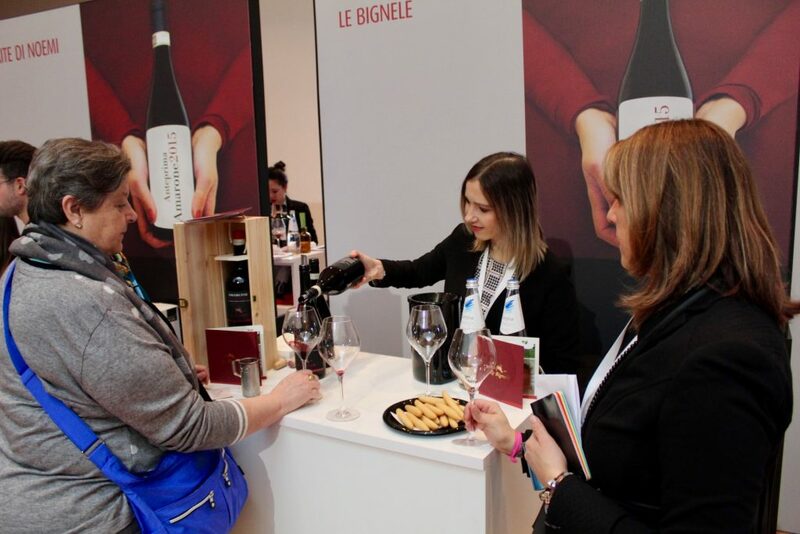 It represents a strong bond in-between winemakers, negocians and customers and I’d suggest a visit to every wine aficionado out there. 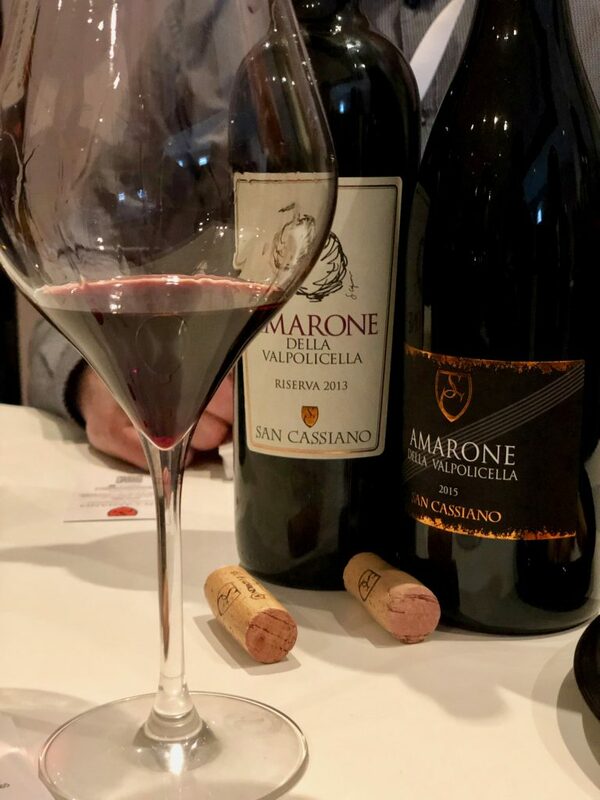 This day gave me a deep insight into the reality of Amarone and into the vintage 2015, which I can say in my modest opinion to be a great one. 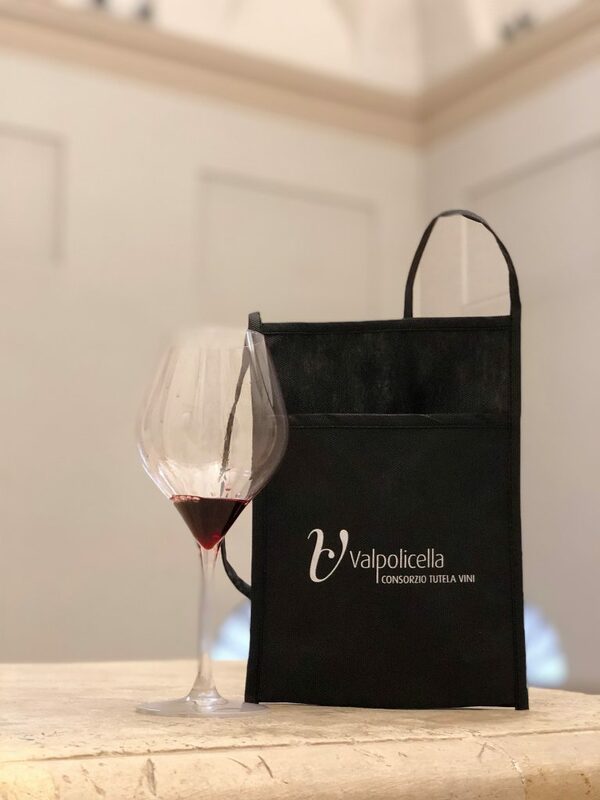 Valpolicella rest assured we’ll be seeing us again soon!